Not one, not two, not three, not four, but FIVE new fork models from RockShox get released into the wild today! Of course the big ticket item in the PR announcement from RockShox is the all-new Pike, and that’s definitely the fork that RockShox is most excited about. However, the new technology shown off in the flagship Pike RCT3 fork (DebonAir spring, Charger 2 damper, Boost-specific chassis etc) will be trickling down through the range, with all of RockShox’s other long travel forks getting the update treatment. There’s even a new Charger damper for the RS-1 cross-country race fork too. While the Pike is sure to steal all the limelight, we’re quietly excited about the prospect of the new Revelation fork, which steps up to a 35mm chassis, and essentially becomes a cheaper version of the Pike – kind of like what the Yari is to the Lyrik. This makes a lot of sense, as the existing Revelation fork was starting to look a little outdated alongside its much more popular (and stiffer, and smoother) siblings. And so the Reba essentially becomes the old Revelation, and everything starts to make more sense. For all of the new Pike, Revelation, Lyrik & Yari forks, the max tyre clearance has been opened up to 2.8in by making the fork chassis’ specific for Boost 110x15mm spacing. That makes each fork compatible with a wider range of tyre widths, without having to build plus-specific forks. But the Boost-only design means that riders with existing 100x15mm front hubs and wheels won’t be able to upgrade to the new forks, as RockShox is making a firm commitment to the wider hub standard. Most of the forks will be available next month, though the updated RS-1 fork will be available pretty much as of now. The Pike is redesigned from the ground-up. “Pike has redefined the standard by which all trail and enduro forks are judged, and is poised to keep doing so for many years to come with a completely new chassis, which enables a weight reduction of almost 150g. A new Charger 2 damper is now compatible with RockShox’sOneLoc remote for on-the-fly compression adjustments, and a perfect match to Deluxe and Super Deluxe rear shocks. The new DebonAir air spring enhances small bump sensitivity and mid-stroke support. Pike’s travel options are up to 160mm for 27.5” and 140mm for 29” with room for tires up to 2.8” on both models.” – RockShox. The new Pike has a new outfit, and new guts too. So the new RockShox Pike gets an all-new chassis that is specifically built around Boost hub spacing. So no, you won’t be able to get it in a version to suit 100x15mm hubs, it’s Boost-only. The whole chassis has been strengthened, stiffened and lightened around the 110x15mm Maxle spacing, plus there’s a new Charger 2 damper, and a new DebonAir spring. Basically, it’s new from top to bottom. The Charger 2 damper is more adjustable and remote-compatible. 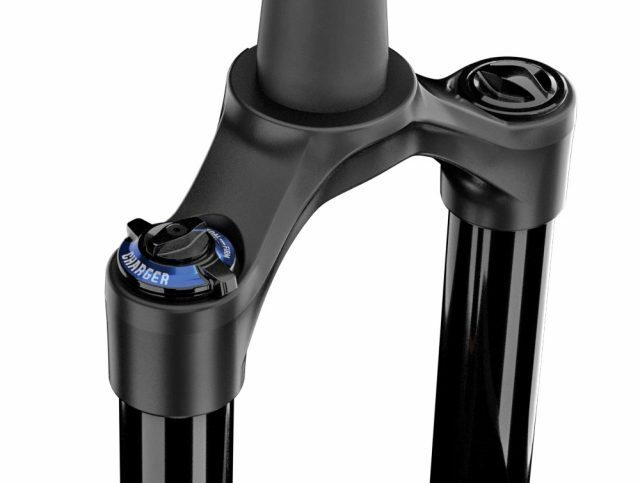 The Charger 2 damper is a refinement of the existing Charger damper, and offers improved usability as well as compatibility with handlebar remotes. RockShox has done this by reducing the force required to rotate the dial, which on the previous Charger damper, was quite firm. There are still three pre-set compression positions for the large dial (Open, Pedal, Lock), and you’ve still got adjustable low-speed compression adjustment on the inner dial, which allows you to tweak the low speed damping in the Open mode. The main difference is that there is a wider range of adjustment for the LSC damping, and the Pedal mode is now a much more usable setting on the trail. Inside you’ll find the new DebonAir spring. Inside the other fork leg is the new DebonAir spring. Using the same ethos as the DebonAir can found on RockShox rear shocks like the Super Deluxe and Monarch Plus, the DebonAir spring offers an increased negative spring volume to help improve suppleness in the starting stroke and the first 1/3rd of the fork’s travel. Compared to forks using the Solo Air spring, this should offer more traction and more comfort. The Pike uses a lighter and stronger Boost-specific chassis. Elsewhere, the Pike chassis has been completely redesigned. 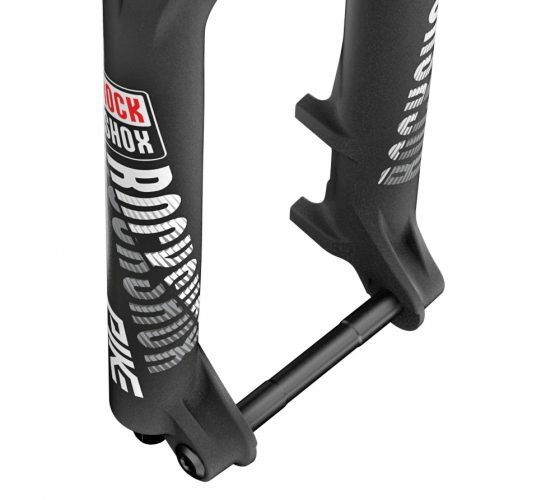 RockShox claims the new Pike has dropped weight over the previous fork for the same specifications. That means a new 27.5in Pike fork comes in at a claimed 1834 grams. Compare that with the 1950 gram claimed weight for the previous Pike in a 27.5in Boost version. So it’s actually a 116 gram weight reduction. The Pike RC fork will be an OEM option only. There will also be a cheaper version of the Pike called the Pike RC. This is an OEM fork only, so you won’t see it for sale on its own, but rather on the front of complete bikes. The main difference between the RC and the RCT3 is damping adjustability. The RC model only gets adjustable rebound and a single low-speed compression dial that adjusts from full open to firm. Otherwise the fork is identical – same new lighter Boost-specific chassis, same new DebonAir spring, same overall Charger 2 architecture. We’re pretty excited about the new Revelation fork. As we mentioned earlier, the new Revelation fork is one we’re particularly excited alongside the release of the new Pike fork. Using the same overall chassis as the Pike, the Revelation receives its biggest ever update in the form of 35mm diameter stanchions. The upper tubes are straight wall alloy (rather than a tapered tube like the more expensive Pike fork uses), but aside from that they’re very similar. Similar 35mm chassis as the Pike, but with a simpler Motion Control damper to bring the price down. Inside, the Revelation also gets the DebonAir spring for supple sliding, though it features a cheaper Motion Control damper. You’ll be able to get models with a crown-mounted compression dial, and models with a remote-actuated compression adjuster. The Revelation will be available with 120-160mm travel in a 27.5in size, and 120-140mm travel in a 29in size. 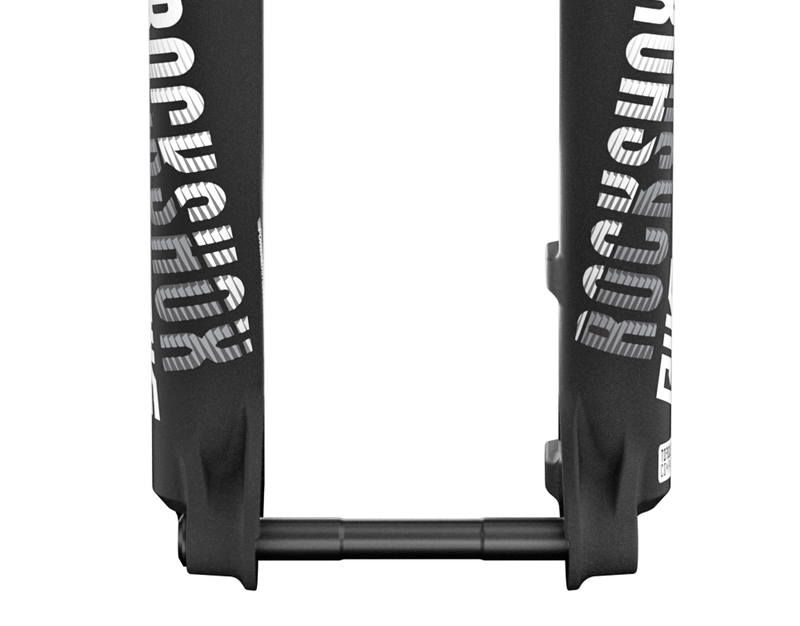 All Revelation forks will be Boost-only, with RockShox committing hard to the 110x15mm hub standard. Lyrik gets updated for 2018 too with the Charger 2 damper. For the big hitters, there’s a new Lyrik for 2018 as well. The changes on the Lyrik are more subtle, though it’s updated with the new Charger 2 damper for improved adjustability and usability on the trail. Plus, you’ll be able to get a remote version that will allow you to play with the lockout via a bar-mounted remote. Otherwise the 35mm chassis remains, and max fork travel tops out at 180mm. And what about the DebonAir spring? That was actually already in the 2017 Lyrik fork. RockShox introduced the larger negative air spring system into the Lyrik as of last year, but decided to keep it a secret, instead waiting for the launch of the new Pike before making a song and dance about it. Either way, that buttery plush feel of the current Lyrik has a whole lot to do with the DebonAir system. Also new for 2018 is that the Lyrik will only be available in Boost versions, with a chassis that’s been redesigned for more mud clearance and to accommodate up to a 2.8in wide tyre. There’ll be a Lyrik RC fork, but that’s OEM only. There’ll also be a cheaper OEM version of the Lyrik RC fork, which trades some of the damper adjustability in favour of a simpler compression adjustment dial that winds from open to lock in several clicks. And like the new Lyrik, there’ll also be a remote version available, for those Enduro racerheads who need a lockout at the tip of their fingers. Yari is invited to the latest RockShox party too. 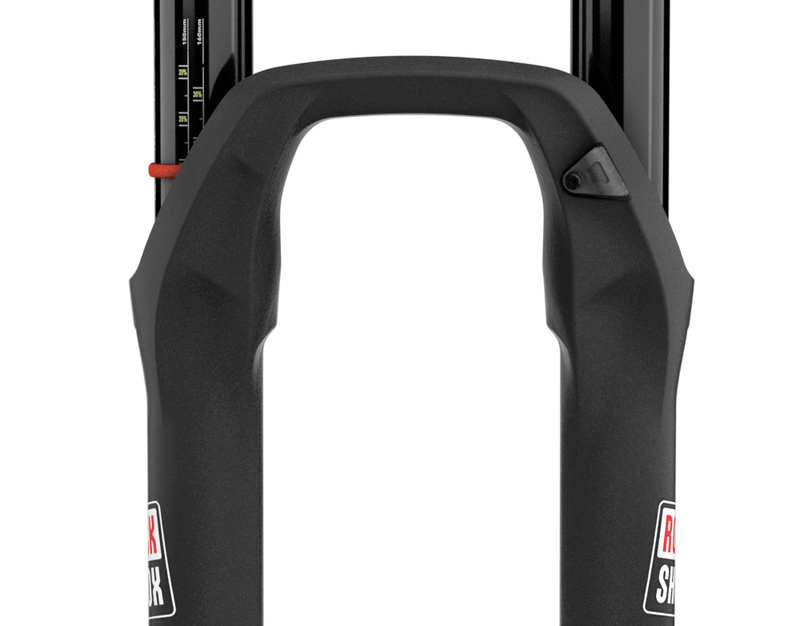 There’s a new Yari fork in the house, which retains its position in the RockShox lineup as a cheaper option to the Lyrik. 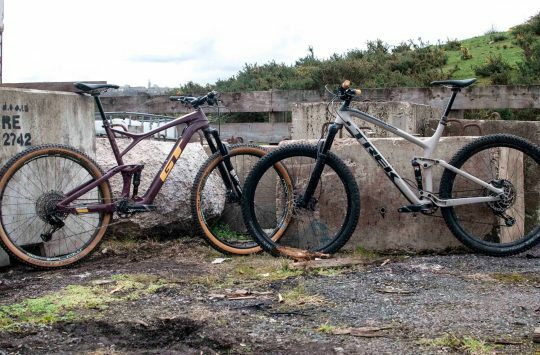 The beefy chassis remains the same, with fork travel options from 110mm all the way up to 180mm, and both 27.5in and 29in wheelsize options. Max tyre clearance steps up to 2.8in, though if you’re running the 29er Yari, you’ll be able to fit in a 27.5×3.0 plus wheel and tyre in there. Like the new Lyrik, the Yari will now be Boost-only. The RockShox RS-1 fork rolls through into 2018 with a Charger 2 damper upgrade. 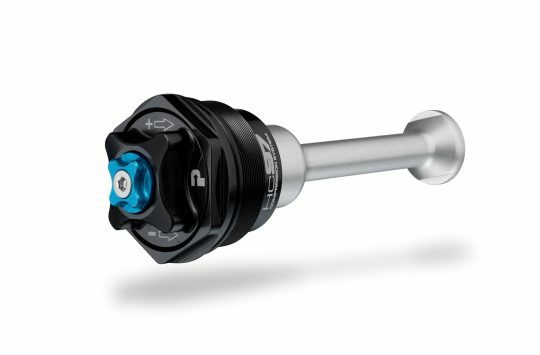 Not forgetting the XC race crowd, RockShox has finally updated the damper in the RS-1 fork, which has remained largely unchanged since it was introduced in 2014. The chassis and Solo Air spring remain the same, but a Charger 2 damper slots inside the fork, offering both remote and crown-mounted adjuster options. And the introduction of an RL version of the RS-1 fork. There’s also a new RL model for the RS-1 chassis, which is also available in 27.5in and 29in sizes. 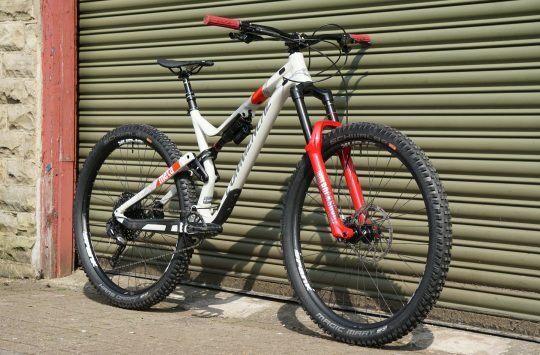 A new 130mm travel option for the 27.5in chassis is also to be made available. The RL model simplifies damping adjustments by losing the independently adjustable low-speed compression damping, instead just offering Open or Lock settings. For further information on the new line of RockShox forks, make your way to the SRAM website for all the ins and outs.